Our favorite Jonas brother debuts a new dance remix of 'Teacher' with The Advocate. Nick Jonas's single "Teacher" has been given the remix treatment by legendary dance music producer Dave Aude, and the two are debuting the funky new track exclusively with The Advocate. "It's pretty awesome when I'm able to collaborate with other artists and recreate my music," Jonas tells The Advocate. "I'm lucky to have worked with some of the best and add a new sound to my favorite songs — the Dave Aude remix of 'Teacher' is definitely one that everyone can have some fun to!" Aude, who's worked with dance music giants including Beyonce, Rihanna, Katy Perry and Madonna, says Jonas was someone he set out to collaborate with. "I'm often asked what A-List artists are at the top of my list that I have yet to work with. Nick Jonas was at the top," Aude tells The Advocate. As a solo artist, Jonas has done much to ally himself with the LGBT community, telling The Advocate last November, "I don't know why more heterosexual male artists don't embrace their gay fan base, because it's so important. At least, I feel like it's such an important part of my fan base." Jonas also volunteered to fill in for Iggy Azalea at last month's Pittsburg Pride after the Australian hip-hop artist stepped down amid accusations of homophobia and racism stemming from Twitter posts she's shared in the past. "Teacher" originally appeared on Jonas's 2014 self-titled solo album. He'll be performing the song live when his North American tour kicks off Sept. 6. 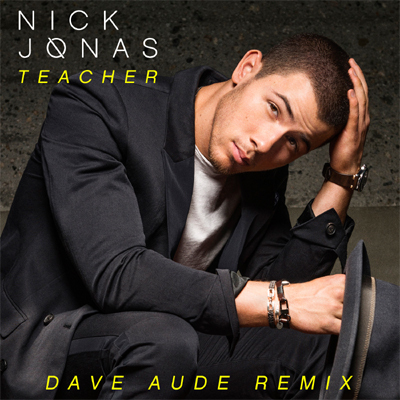 Give a listen to the Dave Aude remix of "Teacher."